Andrea Lewis was practically born to fly, raised by parents who were both aviators. On the first day of Women’s History Month, Delta recognizes Lt. Lewis who combined both parents’ careers as a Delta flight attendant and also the first African-American female pilot with the Georgia Air National Guard. Lt. Lewis, who has worked at Delta for eight years, serves as first lieutenant in the 116th Air Control Wing, piloting the E-8C Joint STARS. Joint STARS use radar to locate and track moving objects behind enemy lines. Lt. Lewis’ mother, Sharon Pierrie Scott, is a career Delta flight attendant, flying for over 40 years, and her father, James Cuyler, served as a pilot during 14 years in the U.S. Marine Corps before flying commercially for another 22 years. Despite her background, Lt. Lewis was initially apprehensive about a career in aviation after graduating from the University of Georgia in 2009. But after encouragement from her father, she joined the Air Force Reserves in 2010. 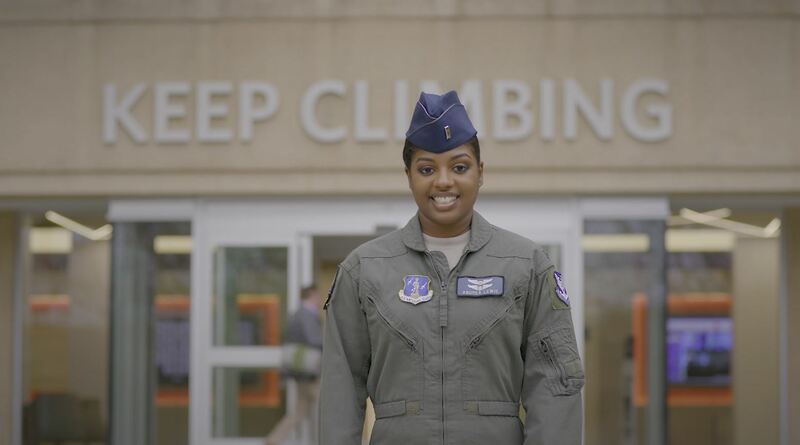 Recently featured by the Associated Press, Andrea would find her fit as one of only two civilians to become a military flight attendant. Then in February 2011, Lt. Lewis graduates as a Delta flight attendant, influenced by her mother’s long and successful career. 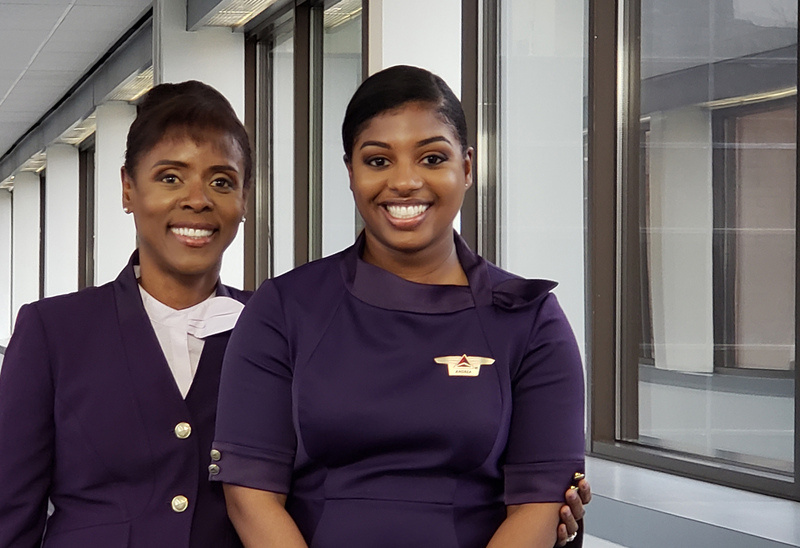 The airline champions an inclusive workplace of integrity and respect, drawing employees to find a home in the Delta family among shared perspectives and experiences. 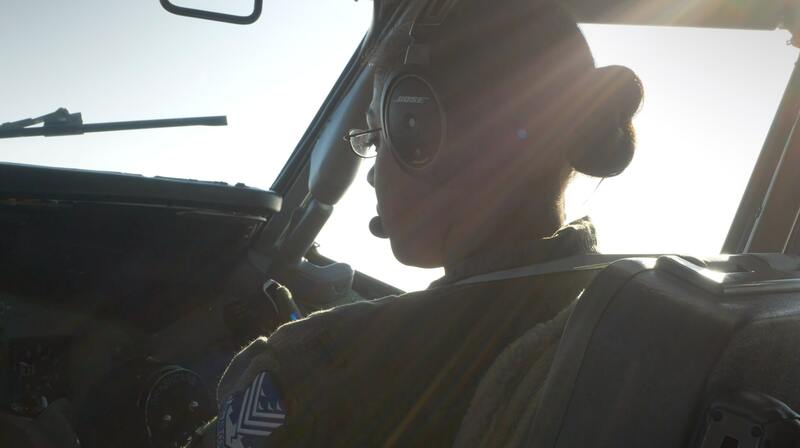 Lt. Lewis is currently on military leave from Delta while she prepares to deploy with the Georgia Air National Guard. As part of its commitment to military hiring, Delta has a longstanding history of supporting employee veterans and members of the Armed Forces. The airline currently employs over 10,000 veterans and is a proud participant in the 100,000 Jobs Mission – a coalition to hire 100,000 transitioning service members and military veterans by 2020. Service members and veterans are coveted for their servant leadership skills, making them a perfect fit for the Delta culture.